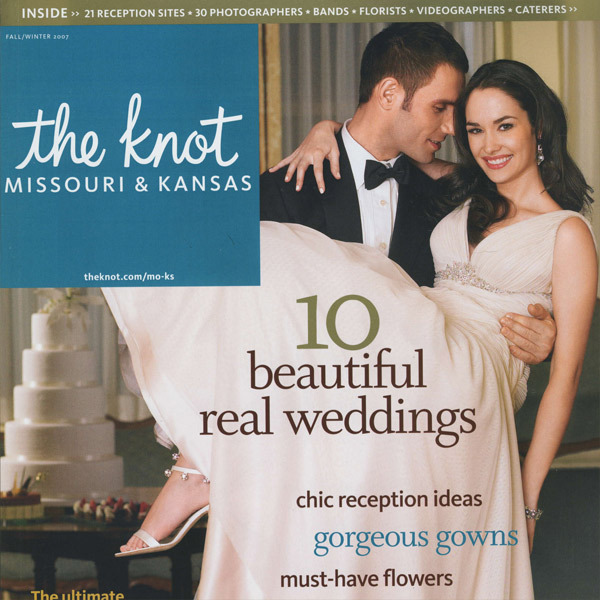 The spring 2008 issue of the The Knot featured one of Event Studio’s weddings. Amy Bartosik and Brant Wilson were married on a beautiful fall day in Kansas City. Amy chose apple green and chocolate brown as her color scheme and did an excellent job carrying the “a + b” theme into the details. 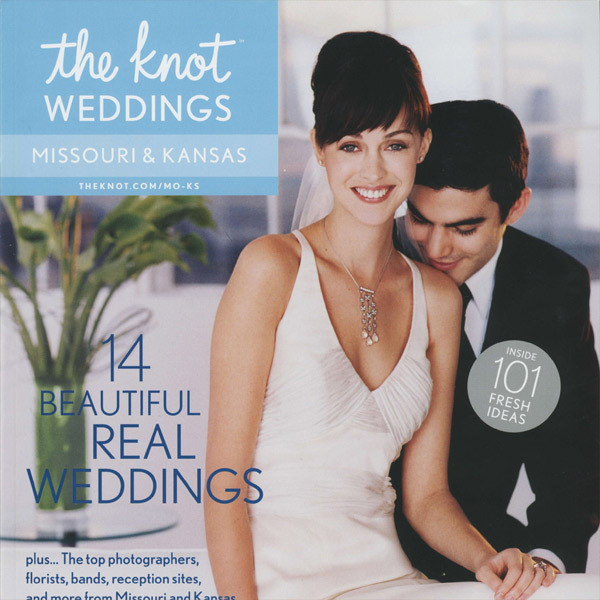 The fall/winter 2007 issue of the Knot magazine featured the September 2007 wedding of Event Studio’s clients, Stacy Andreas and Bert Macy. The couple chose September 23rd and hosted an intimate affair on their ranch in Lawson, Missiouri with a cool English Hunt Club meets Ralph Lauren theme. 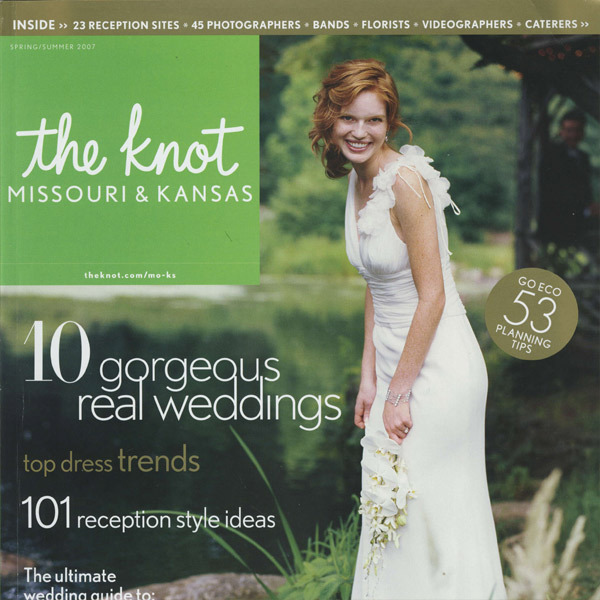 The summer/spring 2007 issue of The Knot magazine featured the incredible May wedding of Event Studio’s clients, Cathy Howard and Rick Baier. The 5-page spread highlighted many of the remarkable details of their New York nightclub-inspired celebration. After a private dinner with the ceremony guests, the couple kicked off the reception with a shimmering martini bar and ice luge that served cosmos, lemon drops and dirty martinis. An additional 350 guests joined them for the celebration where soft draperies, purple linens, sculptured metal trees, and warm candlelight added to the club vibe at Liberty Memorial. 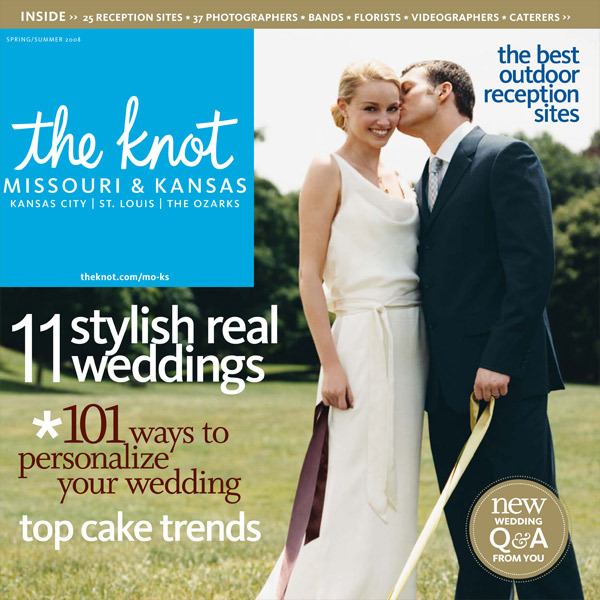 Mandy Phalen, owner of Event Studio, was interviewed by The Knot magazine and asked to share some ideas on stylish places to get married besides a church. 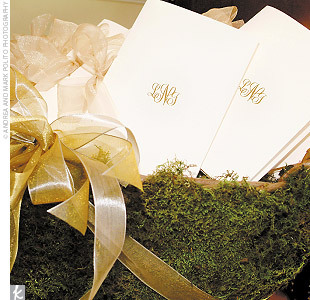 Mandy noted that Club 1000 was one of her favorites and a perfect selection for a more contemporary bride. Modern romance unfolds at the state-of-the-art Club 1000 in Kansas City where you can exchange vows beneath a canopy of twinkling lights in a soaring loft. www.clubI000KC.com. 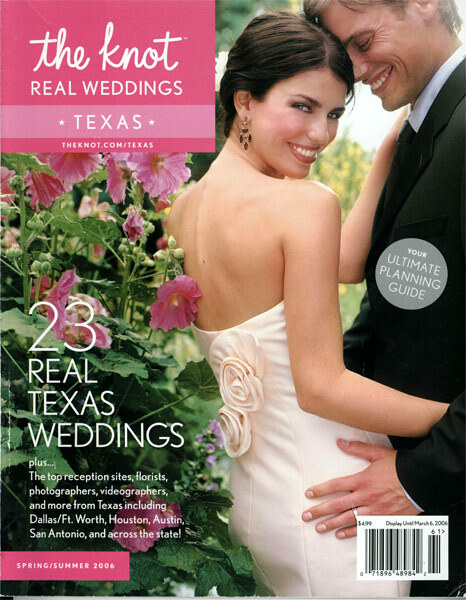 In the summer of 06, one of Event Studio’s weddings was featured in the Knot’s Real Weddings, Texas. The groom wasJeff Nelson, the Bride was Lee Sample and the wedding was a beautiful ceremony in front of Arlington Hall. Andrea Polito photographed the event – amazing! "Event Studio's poise and professionalism made planning the party during a very hectic time a lot less stressful for us. " "We had a blast! 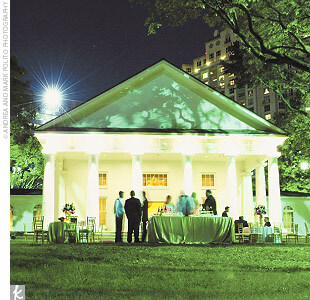 Everyone raved about the beautiful decor and how smoothly the ceremony and reception went. It was perfect! 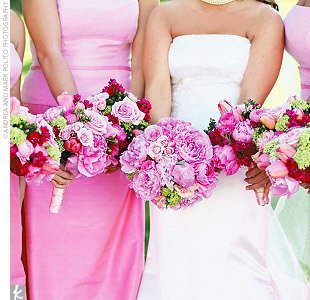 Thank you so much for making our wedding day everything we always dreamed it to be! "